Happy Saturday everyone! I have quite a few items on my To Do list today. I'm keeping my fingers crossed that I can get a lot of them checked off. I would jump up and down for joy if I got them all crossed off! Remember this picture I shared with you a couple weeks ago? Would you like to see what I made out of this pile of wonderfulness? Ta da!! I made wonderful little thank you matchbooks for all the attendees at my Sale-A-Bration/All Occasions Catalog Open House. Each matchbook contained a bag of m&m's inside. Yum! 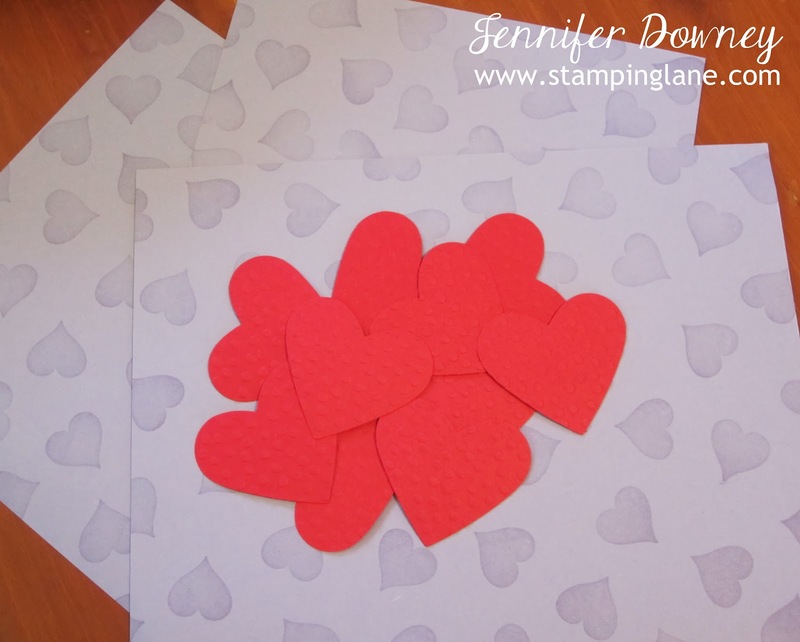 The heart stamped on the Wisteria Wonder card stock is from the Perfect Pennants set out of the All Occasions catalog. 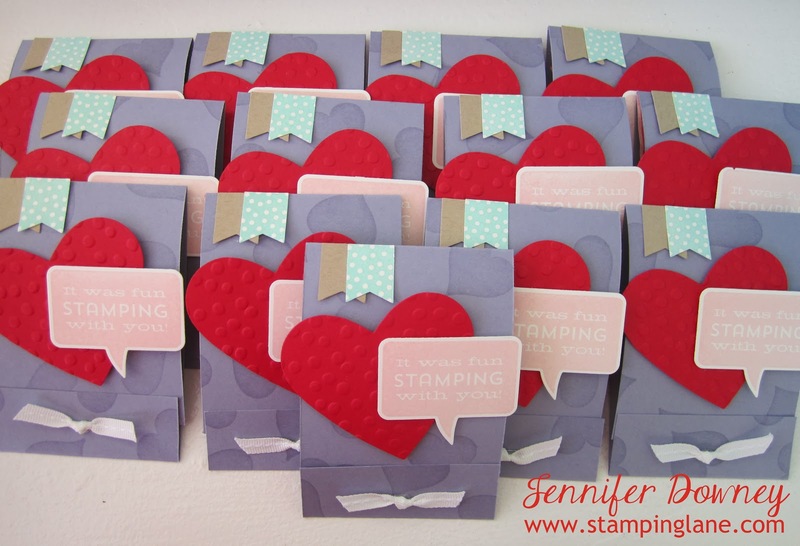 The large heart is embossed using the Dots Embossing folder and the two little banners at the top highlight the Banner Blast and Banner punch. All 3 of these items you can earn FREE until March 31! Woo Hoo! Attendees got to make four fabulous cards highlighting stamp sets and accessories from both of those publications, as well as see other projects using products from those publications to give them even more ideas, snack on some delicious goodies, sign up for door prizes, and take one of these favors home with them as well. A wonderful time was had by all! Thank you again to all who attended! Happy Stamping!